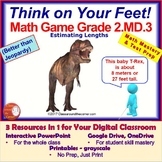 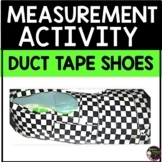 56 Measurement Task Cards for Estimating Lengths (2.MD.A.3) Answer Key Included! 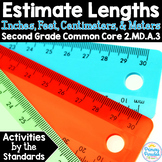 Included are several activities requiring students to estimate and measure common classroom objects with linking cubes. 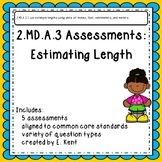 All activities can be used as a whole class activity or in math rotations. . -Tip: Having them write their estimates in marker will keep them from going back to change answers.